Mobile Web Applications: Top CSS Techniques for Optimal Performance — Building mobile web applications with great performance can be hard. So here’s a look at how using current techniques and leveraging HTML5 and CSS3 can result in powerful ‘native-like’ experiences. The Search For The Holy Grail: How I Ended Up With Element Queries, And How You Can Use Them Today — A discussion of the history and uses of element queries and how this led to the creation of EQCSS, a plugin that supports element queries, Scoped CSS, and more. Dropsource - Turn Your Web App Into A Native App with New Visual App Builder — Want to easily turn your web apps and APIs into truly native iOS and Android apps? 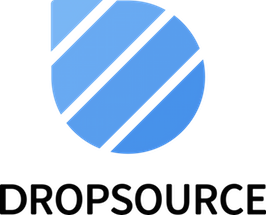 With Dropsource, you can. Our visual app platform that makes building truly native iOS & Android apps easier, faster, and more convenient. Join free today. Hybrid or Native Mobile App? Use the Right Tool for the Job — When should you use hybrid apps and when should you go native? Learn about the differences and which is best for your mobile app development. Browse eBay with Style and Speed — A look at efforts being made by eBay to improve users’ experiences when accessing their site on mobile devices. 3 Simple Steps to Improve Your React Redux Code — Useful tips on how to achieve an organized and more scalable setup for your React/Redux apps. Complexion Reduction: A New Trend in Mobile Design — Flat, Clean, Minimal, Material..what’s next? Developer Economics: State of Developer Nation Q1 2016 — A survey of over 21k developers offers some insights into how they are currently targeting mobile and devices. What's New in NativeScript 2.1 — 2.1 includes load time and runtime optimizations on Android, tooling improvements and more. Working with Ionic Native - Shake, Rattle, and Roll — Ray talks about Ionic Native (the successor to ngCordova) and includes a sample app showing how to use it with the Cordova Device Motion plugin. Build a Hybrid Mobile App with Angular 2 and Ionic 2 — A very thorough walkthrough. Job Offers. No resume necessary. — Create your Hired profile to get top companies to start applying to hire you. Get offers from $75,000 - $250,000 on the platform in 1 week. PluginPub - Publish Your PhoneGap Plugins to NPM — PluginPub is a tool to help automate publishing your Cordova/PhoneGap plugins to NPM. Creating a Cordova Hybrid App with React, Redux and Webpack — How to create a Cordova hybrid weather app that uses Onsen UI, React and Redux to manage state. How Do Mobile Emulators Work? — Jen Looper explains the technology behind iOS and Android mobile emulators and why they function so differently. Komodo IDE: The Best IDE for Web and Mobile Developers — Web & mobile devs get all their favorite frameworks, languages, and tools in one cross-platform, polyglot IDE.